Are gun shows dangerous?! New Mexico liberal Marshall Martinez jumped in to comment on my blogpost last week, but when I asked for proof, there was no substantiation provided and I was quickly blocked! 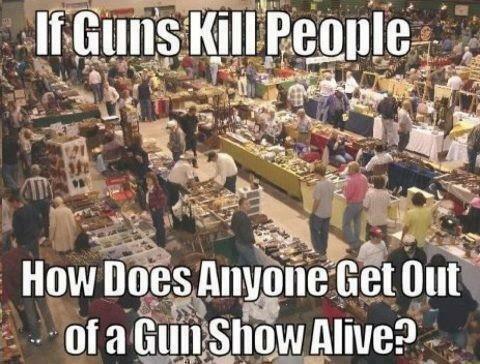 Could it possibly be that there is no proof that gun shows are dangerous?! Or perhaps Marshall was trying to say that freedom is dangerous? @PolitixFireball From what, sensible gun laws, that even my RURAL CONSERVATIVE family members support? Gunshow Loopholes are dangerous! Previous Post: Support gun rights in committee on Saturday!